Car and Driver magazine described this car as "a Modenese masterpiece." Road and Track called it, "a stylish Italian grand tourer that through the judicious application of high technology has the heart of a true sporting machine." Voluptuous curves, handling suitable for the Autodromo Nazionale Monza race track in Italy and a 4.7 liter, 433hp Ferrari-designed 32-valve aluminum engine make this into a world-class, exotic supercar for the price of a Corvette. And unlike a Corvette, this Italian exotic isn't just another me-too vehicle, but a truly unique automobile that will turn heads everywhere you drive it. Edmunds suggests that the GranTurismo "looks like nothing else on the road--in a very good way." Car and Driver describes the ZF six-speed automatic gearbox saying "every shift is like a crisp rifle shot preceded by matching revs." The aluminum V-8 is what you would expect to find in the middle of a Ferrari F430 and provides 433 horsepower and 361 foot pounds of torque with a ferocious, snarling exhaust note that you'll have to hear to believe. It will make the hair stand up on the back of your neck--literally! This car has it all: heart-stopping performance, breathtaking styling, rarity, provenance and prestige at a price that's too good to be true. 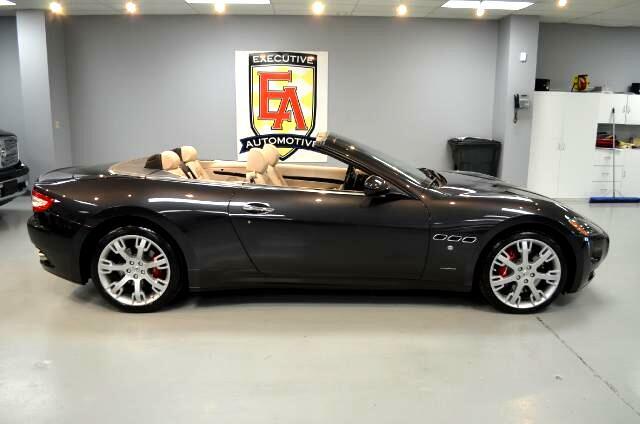 Save more than $60,000 off the original $146,000+ price and you can own this Italian exotic with only 11,000 miles on it for the price of a nicely equipped Cadillac Escalade or a mid-range Corvette. An incredible opportunity for the discerning enthusiast-owner.